Over the past two years we have slowly been putting together all of the equipment for our CrossFit garage gym. Some of the gear we purchased new and some of the gear we bought used. If you keep your eye peeled you can find and buy affordable inexpensive used CrossFit equipment – if you know where to look. We put the word out to friends and were surprised as a few donated gear they wanted to get rid off. Checked on Craigslist and found a set of dumbells. Much of the gear we found at local garage sales and at a local used sporting goods store was affordable. Also got real lucky as a local gym was upgrading their gear and barbells and wanted to give away two old barbells. We carted them off in the old truck – asap. A few things to look for in buying used CrossFit gear. For dumbells it is ok to have a little bit of rust as you can sandpaper that off and paint over with some primer grey paint. Check the edges of where the dumbell bar and the weight meet to make sure it is not cracked. What equipment do I need to start CrossFit in a garage gym? We bought a used Schwinn AD6 Airdyne at a local used sporting goods store. It is ok to have a few dings but make sure the frame is not cracked as a new one will cost you about $250 without installation. I would not buy an AirDyne unless I sit on it and give it a good spin. This will tell you if the main fan is spinning right and if the chain and drive shaft are straight and working. Look on the Ebay shopping area as there are several deals for refurbished equipment. I picked up a squat rack recently and was very pleased. Believe it or not the local GoodWill or Salvation Army is also a good resource to find old dumbells and assorted weight bumper plates. Every few weeks I take a trip through there to check it out and see if I can find anything good. Another good method is to buy used CrossFit gear at the Games during the summer in Los Angeles. Not everyone has this option but it is still a good way to get good cheap used equipment and gear. Several companies have a booth at the event and they sell gear from the CrossFit Games. This past summer the Faction Games had a good sale on their used CrossFit equipment in Nashville, Tennessee. 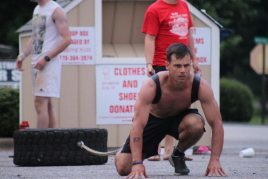 Another good place to find good used CrossFit equipment is at The Atanta Erg Sprint competition which is held every year in Atlanta Ga, and you can buy a good used C2 rower there after the event. Just got in this email “Where can I buy used CrossFit equipment for sale in the Los Angeles area?”. 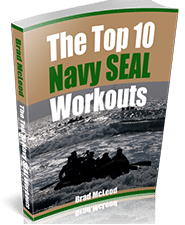 Your best bet is to wait for the CrossFit Games this summer and load up. From there I would look on Craigslist and then scout the local used sports shops. I have picked up great dumbbells and used Airdyne bikes at these shops. Hit me with an email if you find any deals and want to share with others. Question: “Coach, do you know where to buy CrossFit exercise equipment for sale in Atlanta?”. You bet. Check out Play it Again sports in Roswell. Check the local Goodwill store for dumbbells. Check on Craigslist as you can always find a rower or AirDyne bike for cheap in the Atlanta area. Question: “Coach, we just bought some old gear from Goodwill. How do we paint it and get it looking decent for our CrossFit box? Get some sandpaper and a wire brush. Sand down scratches and wire brush any rust. Paint over with a gray primer. Then last coat a black or gray – whatever you want. We fixed up our AirDyne like this. Question: where to buy crossfit equipment in hawaii? Several main land companies ship to Hawaii. Question: We want to upgrade our garage gym with some kettle bells and a barbell and weights. We are going to build our own plyo boxes and pull up bar. What can you suggest? Answer: I would definitely look on ebay and craigslist and find some deals. Great article. Do you have something that shows you how to build a plyo box? Should i build one higher that what i jump now? What Equipment is needed to start your own CrossFit gym? Hi! Where can I find used CF equipment in Texas?